This program will be customized to you and your puppy's individual needs and length of time will vary depending on your goals and timeline. Short term programs will establish the basics of our marker training system and lay the foundation for house manners and appropriate socialization. Longer programs will give your puppy a well rounded introduction to the world, the foundation for a confident and stable dog. It is never too early to start the work of training your puppy to become exactly the kind of dog you want to have in the years ahead. Housebreaking, socialization, imprinting, starting the foundations of obedience and basic manners will be a part of your puppy's every day with us. Giving your dog early training means that you will keep ahead of any bad habits that typically develop as puppies mature. Young puppies generally aim to please, as they are aware of how reliant they are on their caregivers. As puppies grow up and their confidence increases, they become more and more independent. A puppy that will come when called every single time at four months old will begin to blow off recall commands a few months later. This disobedience can creep into your lives together and affect not only the relationship between you and your dog, but between your dog and the world around him. 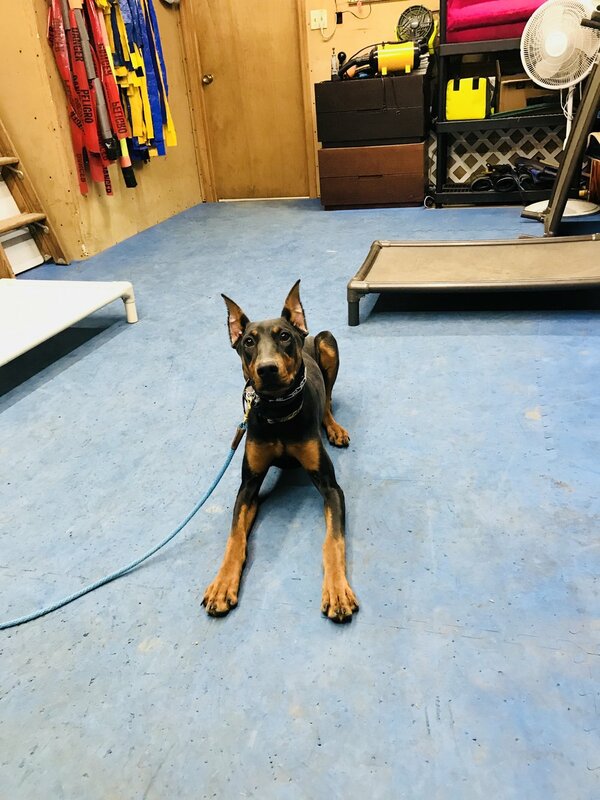 Getting your puppy into a training program with us means we can capture the natural reliance of the puppy on it's handler, and as their guide and coach we assist them with interacting with their world in a controlled fashion so as not to overwhelm them or hold them back. This will make you the most important facet of the puppy's life, and pave the way for a healthy, conflict free future with your dog. Getting your puppy into early training will also give you professional insight and guidance into the unique needs of your dog as he matures. The temperaments of puppies as they grow are commonly misunderstood. Entitled aggressive behavior gets mislabeled as fear, fear is labeled as lack of socialization, genetic nervousness gets labeled as stress from former abuse, destruction gets labeled as separation anxiety; the list goes on. The problem with misunderstanding these undesirable behavior traits is that when they are misunderstood, the prescribed "solution" to fix these behaviors is often the exact opposite of what your puppy actually needs. 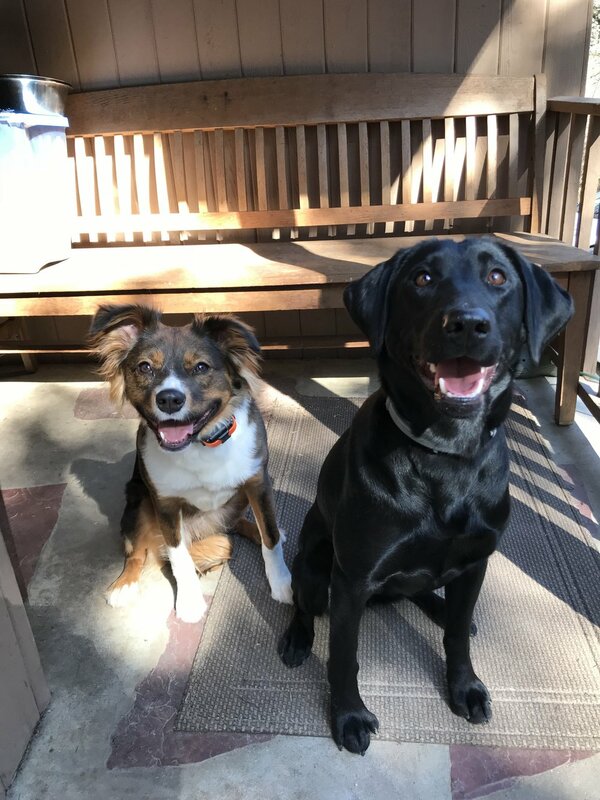 By getting your puppy into early training at MondioPup, you are taking a proactive approach to avoid the pitfalls of mislabeled problems and costly, ineffective "solutions." These ineffective measures burn through time and resources and can erode your relationship with your dog. Training begins the very day your puppy comes home with you. Whether or not we realize it, we are training our puppies every time we interact with them. The very best approach is to have a plan in place before you even take your puppy home. We will be happy to consult with you over the phone to assist you in putting together your own puppy raising protocol. A new puppy comes with so much excitement...the promise of a loyal future companion is certainly worth all of the effort. However, it can be overwhelming dealing with sleepless nights through the housebreaking process, frustration when dealing with bad behaviors such as nipping and jumping, and the pressure to get out and socialize your puppy to ensure a stable dog down the road. Common misunderstandings about the socialization process can often create more issues rather than help in your puppy's development. Having us in for a lesson in your home will save you time and money through this process. If you've already had your puppy for a few weeks, chances are you've already collected a pile of things that haven't worked for you. We will direct you on exactly what you will need for your specific situation so that no more time or money is wasted. We will assist you in setup and placement, and direct you on household management that is specific to your home and life. Simply put, we will make the process of raising your puppy much easier and future training more effective. If you want to take all of the labor and guess work out of puppy raising, we will raise your puppy and set them up for an incredible future.